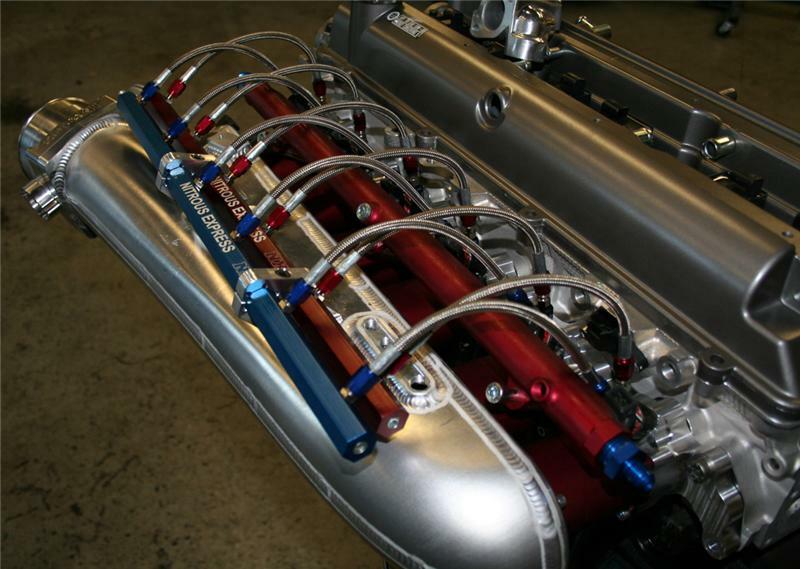 Looking for the ultimate nitrous kit for your inline six cylinder? Then look no further. 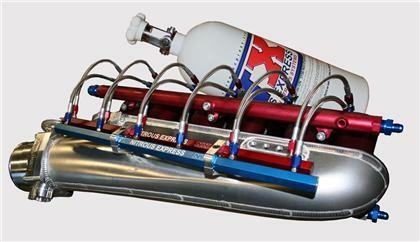 Titan Motorsports, in partnership with Nitrous Express, is proud to introduce the Titan Motorsports nitrous kit. This kit features direct port nitrous for six cylinders, twin rails (one for nitrous and one for fuel), Titan aluminum brackets (which will need to be welded to your manifold, lines, fittings, and all necessary hardware. The kit also includes a 10lbs Nitrous Express Nitrous bottle and nitrous jets rated from 150-375 shot. This is a great, proven kit.